There are a variety of funding options available for for-profit business ventures that fall within two primary funding categories; they include debt financing or equity financing. However, many business owners still grapple with which is best for their business. It is important for them to know the difference between the two and know which is best for their specific business situation prior to approaching funders; as both options have major advantages and disadvantages. Furthermore, it’s important for business owners to know what funders look for prior to making funding decisions, which allows them to be prepared in advance, prior to meeting with funders. The sections below highlight the difference between debt vs equity financing. It also provides tips about general information that business owners should be knowledgeable about before obtaining financing, which allows them to know what’s expected of them when interacting with funders. Being equipped with this knowledge beforehand is one of the first steps towards making more informed decisions about debt vs equity financing, as well as being able to articulate and speak more intelligently about the specifics of the business venture when communicating with funders. Having this information in advance not only boosts the business owner’s confidence, but it also makes the overall business venture and pitch more believable and appears more viable. The major difference between debt financing and equity financing is that debt financing involves loans that in most cases, need to be repaid in as early as 30 days upon the receipt of funding, whereas equity financing involves giving up a percentage share of the business in exchange for funding along with a variety of other terms as per the agreement. Debt financing consists of loans that usually involve banks, credit unions and the use of credit cards, while equity financing consists of investments in businesses with high growth potential, that usually involves angel investors and venture capitalists. 7. Funding from the sale of publicly traded shares of stock. 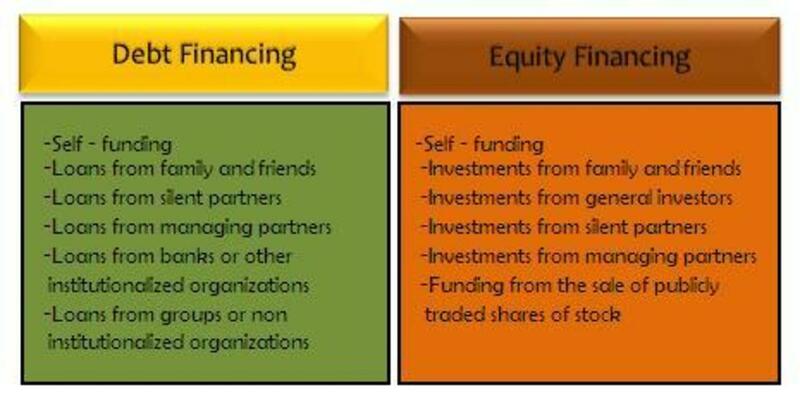 Self - funding can be associated with either equity financing or debt financing. Although it is normally associated with equity financing, some business owners do borrow money from their savings account or their 401(k), which must be repaid like any other loan, once the business is in a position to repay the loan. Funding received from family and friends can also be either debt financing or equity financing, depending upon whether or not the funds were provided as a loan to be repaid as per the terms of the agreement or if the family or friends become part owner of the business and participate in the profit-sharing. Although funding received from partners is usually associated with equity financing, they can also provide funding in the form of a loan which, would be categorized as debt financing. Funding associated with institutionalized financing is associated with debt financing that normally comes from banks, credit unions or the use of credit cards. 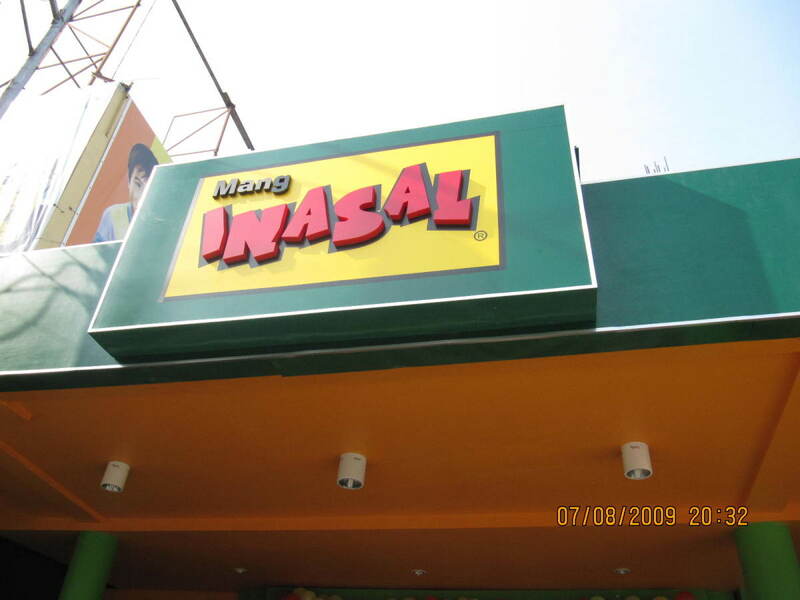 Non-institutionalize loans, such as loans from groups or private parties are also forms of debt financing. Shares that are publicly traded is a method of equity financing obtained through publicly traded shares of stock. This process initially involves an IPO (initial public offering) that is sold for the first time through a securities exchange to the general public. Each of the two primary types of financing (debt and equity) is available for a variety of different business ventures. 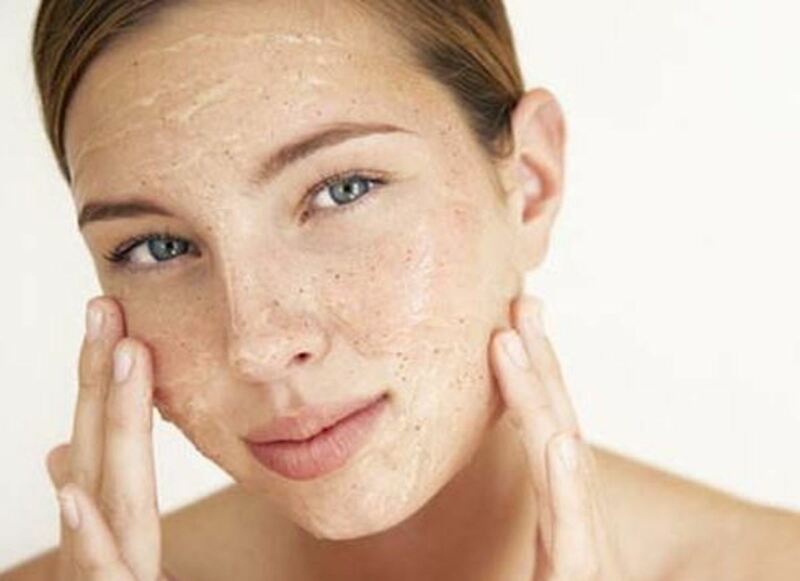 Each comes with its own set of ramifications as well as advantages and disadvantages. 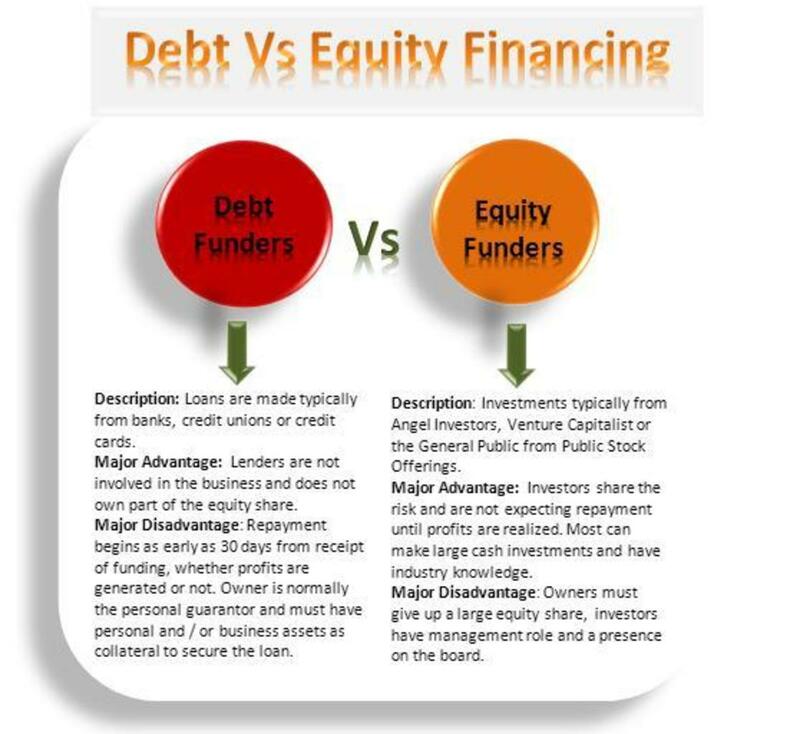 Both debt vs equity financing are explained in more detail below. Debt financing is typically received from institutionalized organizations, such as banks and credit unions. 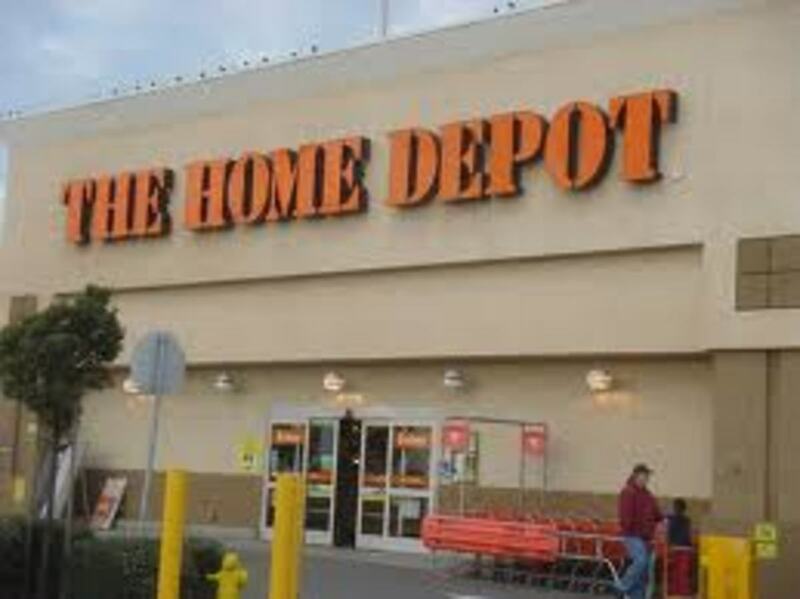 They typically provide small business loans, lines of credit or issue credit cards. According to wew.debt.org/small-business/sourceses-finances, 80 percent of small businesses use some form of debt to finance their business. Lending decisions are based on the business owner's credit worthiness, thus the personal credit score and the business Paydex score are heavily relied upon by institutionalized lenders. When businesses take on debt, it increases the cash flow, but has an effect on other parts of the business, such as the debt to equity ratio, the liquidity and other ratios. The following are some advantages and disadvantages associated with debt financing. Advantages of Debt Financing: One of the more obvious advantages of obtaining debt financing, is that the lender does not typically have ownership in the business and is also not involved in how the business is operated. The terms of the loan can be flexible and set as either a short-term or long-term loan. Also, with debt financing, it’s easier to plan monthly budgets that include the regularly scheduled principal and interest repayment. Once the loan is repaid in full, the business owner has likely strengthened his or her relationship with the bank and has improved the business' credit or Paydex score, which makes it easier to go back for additional funding. Also, the business owner can write off the interest paid on the loan as an allowable tax deductible business expense. Disadvantages of Debt Financing: Most institutionalized debt funding has a fixed payment schedule that includes a set monthly repayment date and amount. Once this arrangement is made, the payment becomes due and payable at that time, regardless of whether the business has generated an income or not. In most cases, the first payment is due 30 days after the receipt of the funding. Therefore It is important that sufficient cash reserves be set aside during the initial business development and ramping up stages (prior to profits being realized.) Additionally, if decreases in sales are projected at any point during the loan repayment period, then sufficient cash reserves should be set aside to cover the loan during those slow periods as well. Normally the business owner is the personal guarantor and must personally obligate him or herself to the repayment of the loan should the business be unable to do so. The personal guarantor must also have some form of collateral to secure the business loan. The total collateral is based on the amount of the loan and may include the business owner's personal assets and the assets that belong to the business. Businesses that have too much debt can appear less attractive to other funders should more capital need to be raised while the loan is still outstanding. Business loans, or debt financing that becomes delinquent can have a negative effect on the borrowers personal credit score if they are a sole-proprietor and use their social security number for business. They could also receive a negative business Paydex score if they are structured as an LLC or corporation and are considered a high risk due to poor credit worthiness. Additionally, Dunn and Bradstreet have tools, such as financial stress scores which provide a means for determining the probability of a business’ success or failure, along with viability rating tools that are used to identify business risk indicators. This information is useful for B2B business entities as well as potential funders which is useful to them prior to making funding decisions. Business owners who decide to take the debt-financing path need to have good credit; and to minimize risk, they should not request funding for amounts that they can’t repay or can’t personally afford to lose. Equity financing normally involves angel investors or venture capitalist. When considering the equity financing path, the business owner will be faced with, more complex advantages and disadvantages that are associated with equity financing. Business owners should be prepared to offer the investor something in exchange for the funding, which would normally include giving up a large percentage share of the equity in their business. The investor will likely have a host of other requirements based on the funding stage that will be indicated in the agreement as well. Apart from those who make smaller investments, such as personal investors, family and friends, there are different types of angel investors and venture capitalist for different stages of the funding cycle. Therefore it’s important for business owners to know where they are in the process, so that they’ll approach the correct type of investor based on their particular business needs. Most angel investors and venture capitalist seek out companies with a high growth potential that is capable of generated millions of dollars as a result of the funding they provide. Equity financing is normally negotiable and may or may not include a buyout option. Equity financing also comes with a lot of strings attached. It has more terms and its structure is typically more complex than debt financing. The following highlights some of the more prevalent advantages and disadvantages of obtaining equity financing. Advantages of Equity Financing: One of the advantages of using equity financing is the flexibility associated with equity financing deals as opposed to debt financing. For example, since investors will own shares of the business, they will share in both the profits and the risks and are typically not expecting a repayment on their investment until after profits are realized. This is unlike debt financing, where repayments must begin as early as 30 days after the receipt of funding whether profits are realized or not. 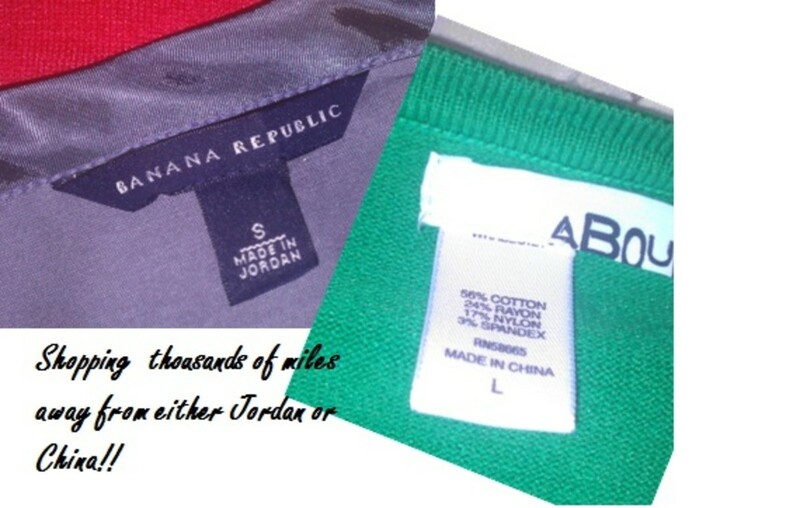 1) After profits are realized and after sales reach a certain threshold. 3) After the point of break-even. Repayments to equity investors vary and Investors that want to remain onboard after the principal and interest have been repaid, will enjoy dividend payments that can potentially be received decades after the business has been formed. Another advantage of obtaining equity funding from an investor, is that investors typically have an understanding of the trends in various industries and have a greater sensitivity to issues that may cause profit delays. When shifts in the market place occur, the sales and the initial repayment period may be delayed, which could also require an additional cash infusion from the investor along with his or her knowledge and expertise as to which strategic steps to take for the business to stay afloat. Equity financing also provides an advantage by allowing business owners to have a tremendous competitive edge in the market place when large influxes of cash have been put into the business. The large cash investment allows the business to be strategically positioned in the market place among other industry leaders, which puts them far ahead of similar businesses with little no additional funding. Equity funding also reduces or eliminates barriers to entry. One of the biggest advantages of obtaining funds from an investor is that the investments do not have to be repaid if no profits are realized. Disadvantages of Equity Financing: One of the major disadvantage of obtaining equity financing is that a business owner must give up (in most all cases) a majority share of ownership of the business. Additionally, investors may share in making management decisions, have an active role on the board or hold an executive position in the company. Some equity deals require that investors provide funding during the business’ initial development stages. However investors may, at their own discretion, require business owners to have some form of investment made into the business prior to them providing any funding. The initial investment that investors often require of business owners is referred to as sweat equity or some other form of funding (which is also referred to as paid-in-capital or contributed capital.) Investors who have this prerequisite want to see that business owners have taken the initiative to launch the business and are sharing some of the risk. Their investment is also a reflection of their level of commitment to the business venture and suggests their willingness to see the business through with longevity. There are investors who provide funding during the initial stages of the business venture, as well as those who provide investments during the later stages of the development process; often after the business has grown beyond the start-up point, is operational and show signs of success. Since investors provide funding at various stages of the funding cycle, it's important for business owners to be aware of what stage they're at when approaching investors; this will help them avoid approaching the wrong type of investor. Although the investment process and various funding stages vary from one business venture to another, the typical funding cycle includes the following stages: a) the initial start-up stage, b) the early seed stage, c) the growth stage, d) the late expansion stage e) the mezzanine / bridge stage f) the recapitalization or buyout stage, g) the balanced stage, h) the IPO stage and i) the public offering stage. 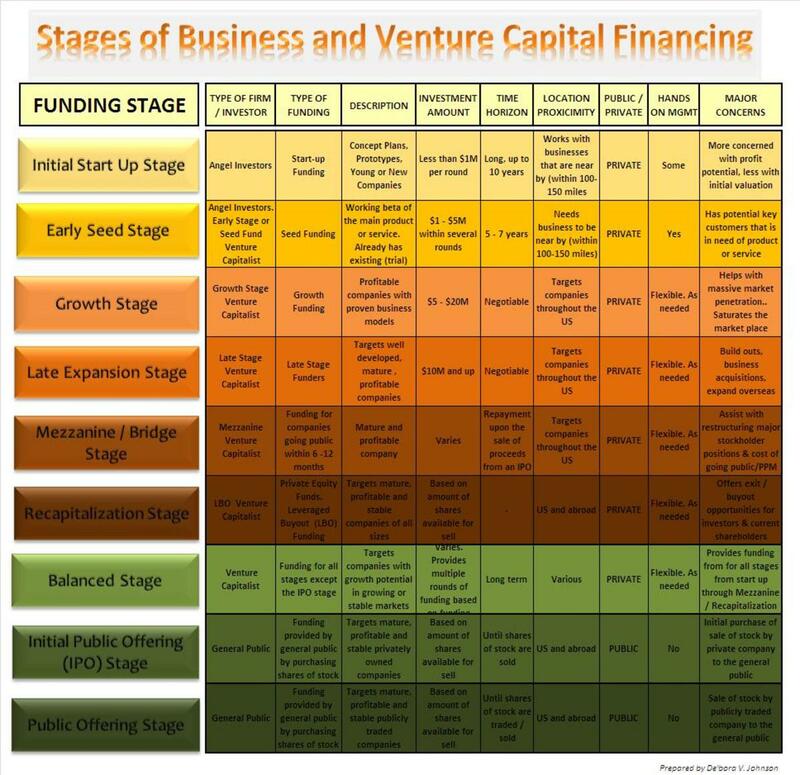 The chart below provides more detailed information about the various funding stages. The equity funding included in the funding stages above normally involve funding provided by angel investors or venture capitalists who are interested in business models with long-term high revenue and growth potential. Most smaller businesses operated by sole-proprietors typically do not seek equity funding from this type of financing structure, but rather from investors who make smaller investments, such as individual investors, family members or close friends. Most investors will request a higher stake in the business based on the amount they’ve invested and other factors. Some may request a majority share of at least 51% or more. Equity ownership shares may be negotiated at the beginning of the term or renegotiated at the end of the term to have the amount reduced after initial investments and the ROI has been repaid through recapitalization or other buyout options. Business owners should be knowledgeable and savvy enough to know what buyout options to offer investors. Additionally, there are some investors who would rather retain their ownership for many years before relinquishing any of their equity shares. In general business owners should consider what they’re willing to give up (or offer investors) in exchange for their equity financing as early in the process as possible. They also need to consider the effects the equity funding may have on their business venture years after the business has gotten off the ground and take that into consideration when making equity share decisions as well. A few questions business owners could ask themselves when offering equity shares to investors includes, 1) How long will it take my business to grow without equity financing? 2) How quickly and how large will my business grow with the financing? And lastly, 3) Will I be able to sustain the business during slow periods without the expertise and funding from equity investors? Business owners should consider a few areas that are important from the eyes of the funder and be prepared to discuss them prior to approaching them. Have an Understanding of the Industry and the Industry Trends: Business owners should also be familiar with their business and the trends within their industry. They should be able to communicate to investors the effects the trends may have on the projected profits, identify their competitors and their current market share, justify their sales price and other areas related to their industry. Additionally, business owners should also be aware of how their business compares to similar businesses in their industry. Most funders make this comparison and use it when evaluating the business’ previous financial performance and / or their growth potential along with their risks according to industry trends. Funders have access to and review key financial indicators and the industry norms that provide a snapshot of the performance of similar businesses that operate in the same industry as the business that is applying for the loan. To learn more about industry trends, competitor’s financial performance and the key financial ratios that funders look at when making funding decisions, please visit http://www.businessfinance.com/articles/key-financial-indicators-and-ratios.htm. Key Players And The Management Team: Often times an investor will look at the management team that is being presented, in addition to the funds that are being requested. They look at the business plan to see if it’s a viable business venture yes, but they also scrutinize the management team as well. Having skilled and experienced key players play a great part in the decisions of funders, particularly investors. If however funders, don’t have a lot of confidence in the team, but the business owner has collateral, a low debt to equity ratio along with a good credit history, that will likely carry more weight with the bank (who offers debt financing,) than with an investor. However, from an investor’s point of view, even if the business owner has good credit and collateral, it doesn’t mean that he or she has the experience and leadership ability to carry out the functions needed to sustain the business and generate on-going profits. Many business owners are concerned about whether debt vs equity financing is right for their business venture. What’s important is considering what contributions the business owner can make on his or her own, vs with that of partners, angel investors or venture capitals. They should consider how large they want to grow and whether or not they have the resources to grow the business on their own. Other points to consider is that some funders not only offer financing, but they also provide hands-on management support and expertise, whereby business strategies that are specific to a particular business model, are implemented to help develop, grow and sustain the business far beyond what a business owner could do on his or her own. On the contrast, some business owners would rather remain small, take all the risks and run a small business without the interference of others. The choice boils down to personal resources, risks and personal preferences. For more business lending tips prior to making final debt vs equity financing decisions, please visit http://www.sba.gov/loanprograms. I liked the article. I think it's especially important to look at the Company's life cycle. If the company is a start-up with no revenue, often times, debt will not be an option. Overall, well written article. Thank you very much for your feedback Haider. I'm so glad to hear that the article was able to assist in some way. Well researched and put together article. The flow of your writing and hooking the reader to the end is awesome. I was really struggling to grasp the difference between debt and equity financing. Here from this hub I got reasonable amount of information about that.